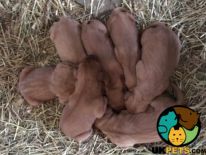 Searching for a Hungarian Vizsla? As the name suggests, the Hungarian Vizsla originated in Hungary and is known as the national dog of the said country. It is bred as a gundog, highly-prized for its hunting skills. 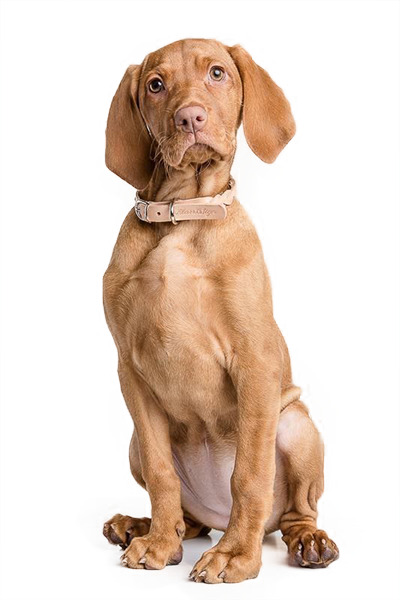 Although considered the smallest pointer-retriever breed, the Hungarian Vizsla is not small at all with a weight of 45 to 65 pounds and height of 53 to 64 centimetres at the withers. Because of its outgoing and friendly nature, it is the perfect family pet that is ideal for first-time dog owners. Are you thinking of owning a Hungarian Vizsla? Here is a brief background of this large gundog. The origins of the Hungarian Vizsla are difficult to trace but is believed to have existed since the 9th century when Magyar tribes came to settle in the Carpathian Basin, now known as Hungary. The Magyar tribes (coming from the Steppes of Asia) brought with them their hunting and herding dogs that evolved into what we know as the Hungarian Vizsla today. For centuries, Hungarian Vizslas were bred and developed for the sporting nobility of Hungary. They were mainly utilised to scent and search birds that were netted or caught by falcons. However, when the use of firearms was introduced in the 1700s, the Hungarian Vizsla was required to be an all-around pointer and retriever dog for both fur and feathered animals. Vizslas were required to be fast with excellent nose to hunt deer, wild boar and even wolves. During the 20th century, after the First and Second World War and the Russian invasion and occupation in Hungary, the number of Hungarian Vizslas dwindled. The breed survived when most Hungarian Vizsla owners fled to Europe and the West, where it became an established breed. It was also in this period where there was a growing number of Hungarian Vizsla in majority of the households in Hungary that the Vizsla became the country's national dog. The Hungarian Vizsla is a medium-sized sporting breed that appears slim, sleek and sophisticated. It weighs 45 to 65 pounds and stands 53 to 64 centimetres at the withers. Its head is well-proportioned and looks noble, with moderately wide, slightly dome-shaped skull. It also sports a moderate stop, with a well-developed nose with wide nostrils. The nose must be the same colour as its coat, the muzzle is blunt, and the jaws are well-muscled. Its lips are tight with no pendulous flews, as opposed to most hound dogs. It has oval-shaped eyes that are medium in size, with colours harmonising with its coat colour and nose, often dark as possible. 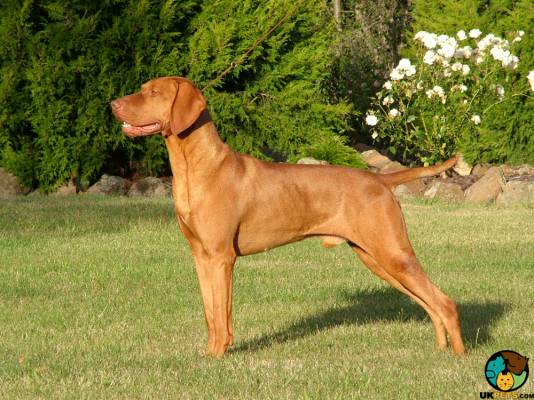 The Hungarian Vizsla is compact and muscular with a strong and solid back, tight and straight. Its loins are short, broad and muscular, also slight arched or straight. The chest is deep and well-muscled and moderately arched as well. 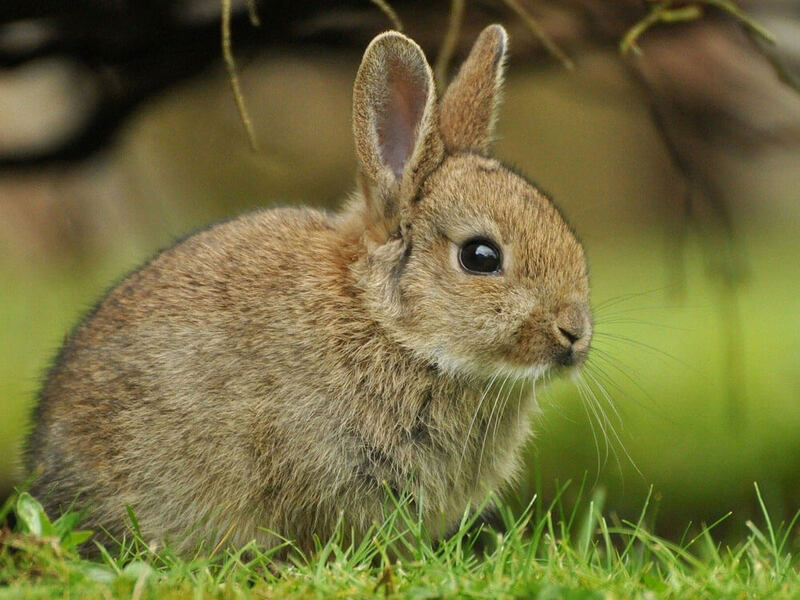 Its coat is short, dense and must be coarse and hard to touch. The coat should cover the whole body with a less coat on the underside of the belly. The Vizsla sports no undercoat. Acceptable coat colours include russet gold and dark sandy gold. Red, brownish and other light colours are not desirable or acceptable. When it comes to grooming, Hungarian Vizslas are low maintenance. They are self-cleaning dog breeds with little to no doggy smell. Their short, dense coat only require weekly brushing to keep their coats in good condition. However, since this dog breed does not have an undercoat, it often has low tolerance to cold, so make sure to wipe its coat dry when it gets wet to avoid getting a chill. Other than the coat, also check its ears for any signs of infection and wax build-up, trim its nails to prevent overgrowth or cracking, and brush its teeth regularly to keep gum diseases at bay. The Hungarian Vizsla is gentle, loyal and affectionate, which make it a perfect companion for first-time dog owners. This dog breed forms strong attachments with their owners and is often called "Velcro Vizsla," because it will stick to your side no matter what. Vizslas are territorial and clingy that they will bark, whine or cry when they feel neglected or when strangers try to invade their pack (its family). With this said, they make great guard dogs. Training Vizslas is easy as they are natural people-pleasers and always want to be around people. It does not hurt that they are also intelligent and quick learners. Regardless if you are an inexperienced dog owner, the Hungarian Vizsla can be a good choice for you provided that you have the time to make sure it is given tons of mental and physical stimulations. It is a high-energy dog that requires its daily dose of exercise if not, it may develop serious behavioural issues and become destructive. Given the proper socialisation and training, the Hungarian Vizsla is gentle around children and is always up to play interactive games whether indoors or outdoors. However, like in any dogs, it is best to make sure that interaction between children and dogs are well supervised to avoid any accidents. The Hungarian Vizsla gets along well with other dogs, especially since it was bred to work in packs. However, cats and other small animals will need to be introduced when the Vizsla is still young. Still, care must be observed when the Vizsla is around small animals. A typical serving for an adult Hungarian Vizsla is 3 to 4 cups of premium quality dry dog food per day, spread between two meals. However, the amount to feed your dog may not be as accurate since servings will depend on the dog's age, size, gender, health, metabolism, activity level and health. It is best to consult with a veterinarian or a canine nutritionist to help you determine the proper diet for your Hungarian Vizsla. The active medium-sized sporting breed such as the Hungarian Vizsla will require a high level of protein and little to no carbs to support its muscle growth and high energy requirements. Animal protein from beef, lamb, chicken, and eggs are highly recommended. The Hungarian Vizsla is generally known to have a lifespan of 9 to 15 years. However, like most pure breeds, the Vizsla is predisposed to genetic health problems such as Hip Dysplasia, Idiopathic Epilepsy, Polymyopathy, Glaucoma, Cerebellar Ataxia, Alabama Rot, Cancer, Hypothyroidism, Dwarfism, Immune-Mediated Diseases, and some skin problems. Hungarian Vizslas are high energy dogs that must be given at least 2 hours' worth of daily exercise. They thrive in an active environment where its family engages in outdoor activities such as hiking, running or jogging. They also enjoy outdoor interactive games. When you allow a Vizsla to play or run outside, whether on-leash or off-leash, make sure they are within a securely fenced back garden, so it will not think to escape. There are certain financial challenges when one decides to own a dog, especially an active, medium-sized dog like the Hungarian Vizsla. However, nothing is too difficult when one is prepared. There are tons of expenses to consider when you buy a Hungarian Vizsla puppy. However, we will only cover the basics. Above-list is only a rough estimate of each cost, so it will do well to check them for yourself when you visit the Pet Store. Overall, a Hungarian Vizsla will cost you around £110 to £140 a month, excluding the initial cost to buy the puppy. Is a Hungarian Vizsla Right for You? The Hungarian Vizsla is a gentle, loyal and affectionate gundog. It is a highly attached dog breed, fondly called "Velcro Vizsla" since it sticks by your side like velcro. It is highly energetic, which means it also has high exercise needs. It is a self-cleaning dog, with no doggy smell, which means it is low maintenance on the grooming front. It is the best choice for inexperienced dog owners, provided that they can keep up with its exercise requirement. It is territorial and will bark at strangers invading its pack space; this temperament makes it an ideal guard dog.